BRIGHTON, Mich.- Whether you're a car enthusiast or were in the market for a new car, chances are you researched at least one vehicle last year. The question is, was it the Most Researched Car of 2012? Drum roll please... The 2013 Ford Mustang was the Most Researched Car of 2012, and for good reason! Not only is the Ford Mustang an icon in the United States but there is also a wide selection of models to appeal to a wide variety of driver needs. The Most Researched Car of 2012: The 2013 Ford Mustang is offered in a total of 11 models that range in price from $22,200 to $59,200 and higher depending on the buyer's power, feature, and specification preferences. 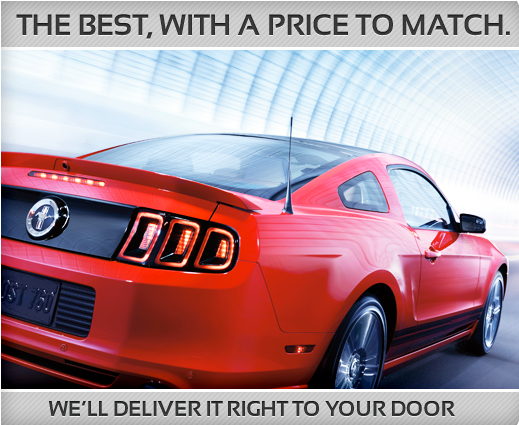 For a full review of all of the details of the Most Researched Car of the Year, check out the 2013 Ford Mustang Brochure! If your New Year's Resolution is to get behind the wheel of a new Ford Mustang, let your Ford Dealership Serving Metro Detroit help you navigate all of the options. Plus, we can help you get a great price with our Ford Mustang Rebates, Ford Mustang X Plan Pricing, and Ford Mustang A Plan Pricing! Stop by for a test drive, Brighton Ford is located at 8240 Grand River Ave. just north of I-96 in Brighton. We are a family owned and operated business that strives on customer satisfaction. For more information on Brighton Ford visit BrightonFord.com or give us a call at (800)-836-8206.